While the Wichita Jazz Festival is proud of its concert productions, the focus of the WJF has been to increase awareness and provide education to young musicians in the Wichita area. Our long-term goal is to help raise the next generation of jazz musicians in the greater Wichita area. As music education moves increasingly out of public schools and limited educational resources necessitate a focus on large-ensemble music, the opportunities for young musicians to learn about small-group jazz – the creative lifeblood of jazz in the last seventy years – have become few and far between. This gap in jazz education causes other lost opportunities for young musicians as well, including experience improvising, composing, and the chance to foster other basic – and employable – musical skills. In 2017, the Wichita Jazz Festival launched a pilot project we called WJF Sessions. This pilot project is now an important outreach for WJF. WJF Sessions is an "all-star" group featuring the top high-school-aged jazz musicians in the Wichita area. 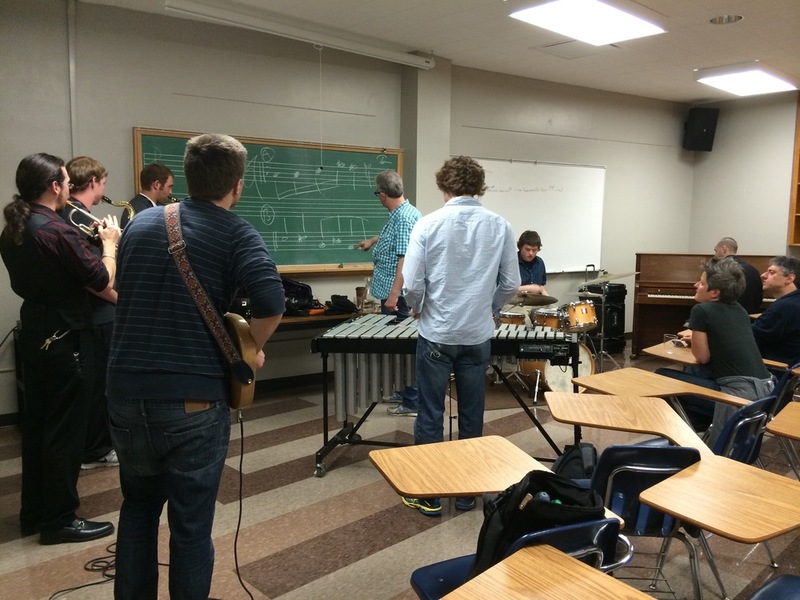 It is an eight week class focused on the “how tos” of playing in a jazz combo, mentored by the Wichita area's best jazz musicians and culminating with performances during the Wichita Jazz Festival itself. Rehearsals are held at Air House Music Academy on Thursday evenings. Mentors/instructors for the combo are Mark Mazur, professional musician and recording engineer; Bill Harshbarger, local jazz musician/educator; and Gray Bishop, local musician and music educator in the Derby schools. The WJF Sessions program will soon expand to serve students year-round. In addition to working with the school system, the Wichita Jazz Festival seeks to provide educational events for the community at large. These events, which focus on both individual and group instruction in both technical and conceptual areas, take place at local community centers and are open to students of all ages. In the past, creativity workshops in this series have been hosted by international artists such as Lionel Loueke, Gretchen Parlato, Nicole Mitchell, and Linda Oh.